Wootons Throne strectches through the frame in this view from the Cape Royal on the Grand Canyon's North Rim. 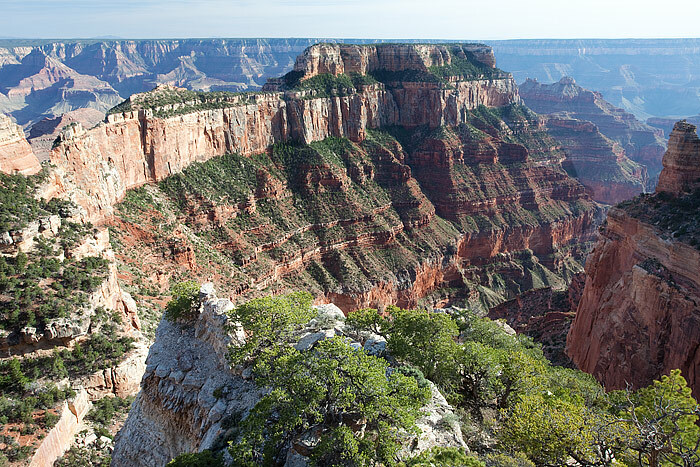 The North Rim of the Grand Canyon has some of Arizona's best viewpoints of the National Park. Photo © copyright by Thomas Mangan.